This is the first time my mother will travel outside the Philippines. She was invited by my sister and her family to go with them for a short vacation in Singapore. Daughter wish to go with them but it’s possible because we don’t have money, hahah. And besides this is not the proper time because she has many activities in school. Another thing, we don’t have money to use. I have to work hard first online so we could afford traveling other country or even beautiful places in the Philippines. Anyway, I hope my mother, sister and her family will have a wonderful vacation in Singapore. Hope they won’t forget our pasalubong (homecoming gift) hahah! Have a safe trip! It’s been 7 months since my mother and sister’s family visited Singapore. I forgot to update this post but mother had so many stories to share about Singapore. Some of the tourist spots in Singapore they enjoyed were Universal Studios, Marina Bay Sands, Sentosa and other popular tourist destinations in Singapore. She mentioned that Singapore is really a clean country and this country prohibits littering. How I wish our country will also implement same thing. Anyhow, mother brought us some pasalubong; daughter and I got Singapore shirts. 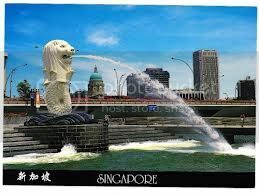 Well after I heard positive things about Singapore, I was thinking if daughter and I will have a chance to visit that country or other Asian countries as well. I heard from a friend that FlightHub is offering cheap and affordable travel experience especially to Asian countries. Ok, I will check this site now and hopeful that I will get good deals from them.